If you were fortunate to have gotten away last week, welcome back to...snow and cold. Actually, it wasn't too bad here last week. I feel for our student athletes, coaches, parents, and athletic director who spent most of their break in bleachers, on a court, field, course, or track as we tried to make up as many games as possible. The good news is that we made some progress; the bad news is we have many more contests plus sectionals and state competitions to squeeze into a very short window. We will, it just doesn't feel like it right now! Last week I was able to spend some time getting caught up on paperwork and getting us ready to conclude the school year. I always know that things are about to get "real" when the diplomas show up. They are here and I am signing them as we speak, so this is a good time to remind your seniors to finish strong and to remind younger students to stay focused as the weather finally gets nicer. Best Music Community: Congratulations are in order for our fine arts students and staff. For the tenth year in a row and for the thirteenth time overall, West Genesee has been named one of the Best Communities for Music Education by the National Association of Music Merchants (NAMM) Foundation. This award recognizes school fine arts programs for being very well rounded and we sure are. I am very proud of their accomplishments, and we are very fortunate to be able to enjoy such talented people! To read the full article about this accomplishment, click here. Safety Update: In the area of safety, I will be leading a countywide meeting on safety training tomorrow from 4:00 p.m. to 5:30 p.m. at the Dewitt Town Hall. This is a part of the Onondaga County Safety Task Force. On Thursday I will be part of a panel from 7:00 p.m. to 8:00 p.m. as a part of a school safety "Town Hall" that is being sponsored by Channel 3. 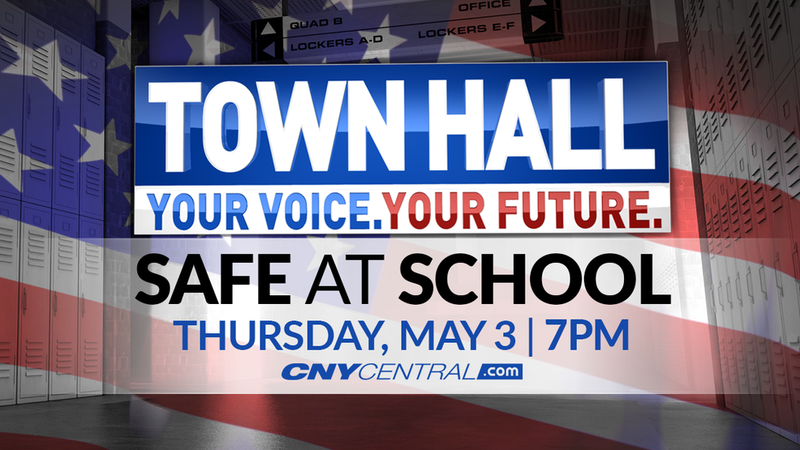 You can either watch it on television, or you can attend by registering here at http://cnycentral.com/station/safe-at-school-town-hall-registration. Upcoming Events: We have some other cool things happening this week as well. On Wednesday, Thursday, and Friday, we will be recognizing our high school honor roll students with some kind words and breakfast for them and their parents. The event has been held on Cafeteria I for years, and I am excited to hear what our new sound system sounds like in there when it is full of people. Wednesday night is our annual School Budget Hearing, and a chance to hear from Board of Education candidates. That is at 7:00 p.m. in the West Genesee High School Library. All are invited. Thanks for reading, welcome back, and let's have a great rest of the school year! It was nice to finally get some sun and warm weather here in Syracuse. I was too busy to get away this week so I am thankful for weather that will at least let me run in shorts and a tee shirt, and maybe even hit some golf balls! Speaking of running, and in the "I am old" category, I was running the Mountain Goat training run on Saturday morning and grooving right along. I was feeling good about everything until a younger dude ran by me WHILE TALKING ON HIS CELL PHONE. I am at an age where I really am racing against myself, but come on! Safety Training: On Friday we had a very successful student training and staff training day in the area of security. In the morning, students worked with their teachers, administrators, and Camillus Police on specific emergency scenarios. When I checked in with students after their training, they reported that they felt more assured in what they would do if we were to have an emergency situation. In the afternoon, Armoured One came in and did a more advanced training for 800 of our employees. It was intense; but very worthwhile. Many of our employees felt empowered after the training, and we will take those feelings and build on them in future training. The training exceeded my expectations and my personal thanks goes out to the Armoured One staff who have now become our partners in security. Sports Schedule Expands to Sundays: You may be seeing sports played on Sundays for the rest of the sports season. 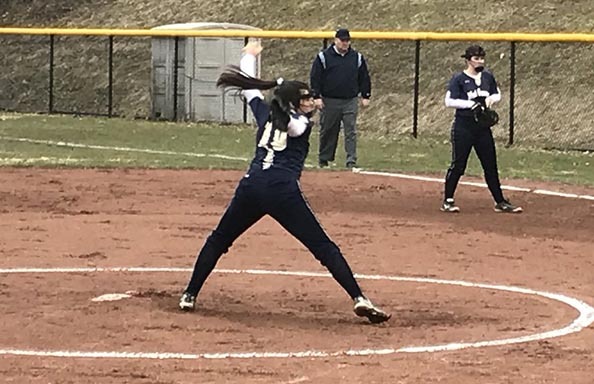 I am absolutely not a fan of having any activities on Sunday, but the poor spring weather forced the Section into allowing teams to play seven days in a row if needed. Our athletic director has informed all coaches that we will only use Sundays if absolutely necessary, but I felt you should know if you see a game or practice going on through the month of May on Sunday afternoons. #GoBlue4Kids for Child Abuse Prevention: You may also see blue and silver pinwheels around each campus. 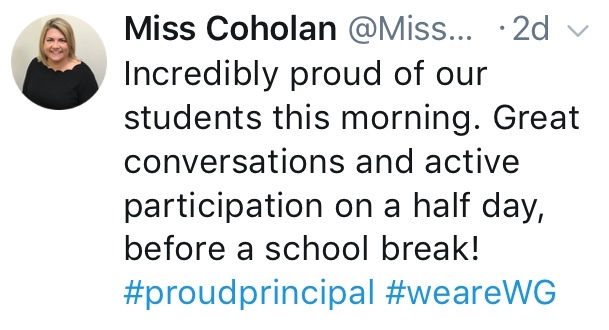 This is because our Parent Teacher groups are working with the McMahon/Ryan Child Advocacy Center on their "Go Blue for Kids" campaign during the month of April for National Child Abuse Prevention Month and raising money through the sale of pinwheels is a part of that. Enjoy this beautiful week. I will be in the office but hope to get away here and there. If you are away, enjoy and safe travels. Junior Prom: I must have checked the weather every ten minutes on Saturday as we closed in on the time of the Junior Prom. I cannot remember a time when we had a winter weather advisory on prom night. I mean, who does that? I had been talking with students all week about the prom, what kind of limo they were riding in, whose special car they were going to get to drive, where they were going to eat, what color tux and tie, and where dresses came from. Actually, during those conversations, I got a stomach ache when one of the girls told me that a prom "package" (shoes, limo, dress, makeup, tan, and hair) can cost over $1,000. I had boys, and one of them worked at Men's Wearhouse during high school so our yearly cash outlay was a LOT less for proms and balls; comparatively speaking. I think if I spent that on my outfits and hair and stuff, I would wear it for about two weeks following prom! Anyway, at about 5:30 p.m. I realized that the temperatures were going to stay high enough until the overnight hours and the heavy rain was going to stay north of the prom site. We were golden! Actually, we were blue and gold. What a great night. Prom always makes me feel young again. The DJ was excellent and put the students through the paces. As students left at 11:00 p.m., they told me they were exhausted from dancing so much. It was REALLY a good time. Thank you to all of the student and staff volunteers, as well as our administrative team. I always sleep with one eye open on prom and ball night, and I did not get one call or text. Success! Next up, Senior Ball in a few weeks. Assessment Update: Earlier in the week, our students took the Grades 3-8 English Language Arts assessment. About 2,000 of our students tried the assessments online for the first time. On day one, we had some Internet issues followed by larger issues at Questar, the test site, so we pulled the plug and decided to start the assessments the second day (we have six days to administer a two-day assessment). On day two, we had some glitches, but nothing that prevented us from moving forward, and the third day was pretty smooth. I was disappointed, but not surprised, that there were some issues during this ramp up into digital testing. I hadn't read about a state that had a smooth launch, and we were no different. They will get everything resolved and I expect smoother delivery of the math assessments in the coming weeks. There are bigger fish to fry for sure. School Security: We met with the architects on Friday to finalize our budget and plans for "Proposition 4" on the upcoming budget vote regarding school security. We had established a number of up to $2M (no increase in taxes) to make security updates including entryways, interior locks, cameras, and other hardening measures. To do "all of it", the cost is going to be $3.8M, so we had to decide which items need immediate attention with the $2M, and which can wait until our larger capital project in the fall. We decided that we will work on the entrances and the interior lock upgrades first, and then tackle camera and software upgrades in the next project. Pending approval in May, we will get started in late summer. 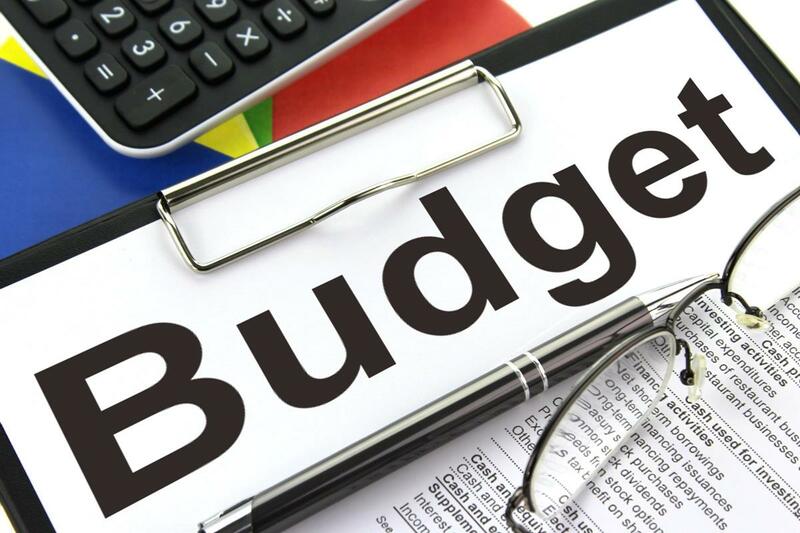 I will be explaining in more detail this Tuesday when I present the budget in the West Genesee High School Large Group Instruction room at 7:00 p.m., and then again in the West Genesee High School Library on Wednesday during our regular Board of Education Meeting. I feel comfortable with the direction we are headed. It will meet our goals and keep our word as to what we said we were going to when we met as a large group back on February 28. Hosting Outside Organizations: As you know, we are hosting the multi-denominational "Workcamp" for a week in late June at the high school, where close to 500 teens from all of the country will come to Camillus and work on the homes of senior citizens and the less fortunate. We are also excited to be hosting the Syracuse chapter of the National Organization of Missing and Exploited Children. They do a very large bike ride each year to raise money and bring it back to our local youth. 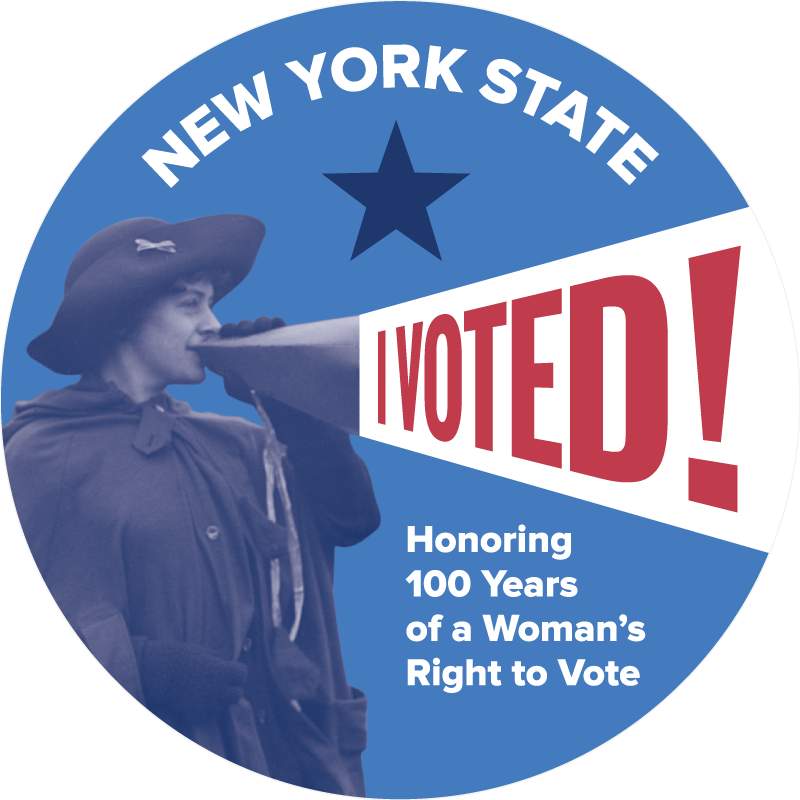 They are having their organizational meeting at West Genesee Middle School tomorrow, Tuesday, from 6:00-7:15 p.m. All are welcome to attend. 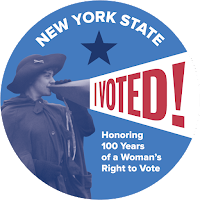 Community Open House-#CMSVotesforWomen: Tonight at Camillus Middle School starting at 7:00 p.m., you will be treated to a traveling active museum to celebrate the Women's Suffrage movement. Our librarian and assistant did an awesome job of securing artifacts and information. The students have learned a ton from it and it is worth the trip to see it. Click here for more information about the event. Swing-In is a Success: Congratulations to our performers who crushed it in the 50th annual "Swing In" on Wednesday night. Professional musician Winston Byrd, loves to come to West Genesee and he definitely gets the most out of the students. Cool! Click here for more information about the event. Spring Letter of Intent Signing: Congratulations also to Meredith Barrett, Carly Benson, John Bergan, John Howes, Karsyn Plis, Kevin Sheehan, Kevin Snow, Paul Stannard who signed their National Letters of Intent to further their academics and athletics at a Division I or II college. What always impresses me about these signing events is the overall grade point average of the students. It takes special people to perform at a high level in the classroom and on the field, and I wish them the best of luck in the future. Click here for more information about the event. Reminder: April 20 is a Half-day for Students: Just a friendly reminder that Friday, April 20, is a half-day for students, as we conduct security and safety training. If you are traveling for spring break, travel safe and have fun! For those of us who are staying behind, lets hope we get some warmer weather! A Must See: Yes, I think actual spring weather will be well worth the wait, but I have to tell you that Hamilton on Broadway was well worth the wait also. It took us nearly two years of waiting to finally get tickets (at box office prices) to the show; but it did not disappoint. I am not a Broadway show expert by any means, but if you are looking for a show that has a top-notch story, superb and diverse music, expert acting, and edge of your seat choreography, this show is for you. I am glad we went to the matinee because it is also emotionally draining, and I needed dinner and a nap afterword. Bottom line, a MUST see in my book. School Safety Meetings: Last week was very busy for me. In addition to my usual building visits and normal day-to-day superintendent work, I had an opportunity to attend and lead four safety meetings: two for West Genesee and two for Onondaga County. All of the meetings were very informative and worked to narrow the focus of our work for school safety. The overarching theme for the meetings was training and preparing for emergencies, and how best to accomplish those tasks. The second theme was how to fund all of the preparedness we want to accomplish, as well as additional security officers. For more information from the PCIC meeting about safety, click here. Student Perspective on Safety: I also met with the high school students who helped to organize the March 14 Student Walkout Day. We debriefed about that day, and I asked them their thoughts about the next planned National Student Walkout Day on Friday, April 20. They were very pleased about how March 14 went, but as a group, they did not want to stage another walkout on April 20. They asked if they could spend some time that day practicing unique situational safety drills like what would happen during a lunch, class changes, etc. Friday, April 20-A Half-Day for Students: After giving that meeting some thought, as well as the nine total safety meetings we have had since the Parkland shooting in February, we are going to alter the school calendar on April 20 and turn it into a half-day for students and full-day for teachers. 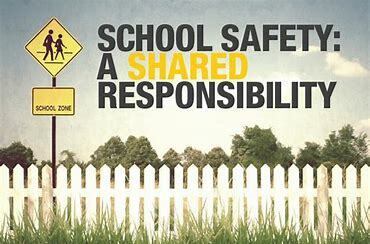 Our students in the high school are going to work on those situational safety situations mentioned above; our middle school students will do a blend of safety meetings and regular programming; and our elementary students will receive safety reminders, regular programming, and work on the Positivity Project. In the afternoon, all of our employees (with the exception of bus drivers because they are driving the students home) will receive active shooter training. We will deliver similar training to the bus drivers shortly after. Thank you for rearranging your schedules a bit to help us accommodate this important work. You may be asking yourself about the students who want to continue to express themselves as part of the #NeverAgain movement on April 20 and beyond. There is a great moment in Hamilton spoken by George Washington that says in part, "I know that greatness lies in you, but remember that from here on in, history has its eyes on you." which is a great line for all of the students in the country working for change. I have been working with the student leadership of our local movement and they are planning their future activities. I am lending adult guidance when I feel it is appropriate and wanted. Upcoming Week: I think we might actually see some baseball and softball games this week. I am not holding my breath for the golf team to play anytime soon, but we have to work with the cards that we are dealt. No matter what weather comes our way on Saturday though, we are ready and excited for the Junior Prom! Yes, it is that time of the year already! Talented Students and Staff: The day before Passover began and before Easter was celebrated, I was a rockstar, along with a few of my coworkers. Yes, you read that correctly, and rock star equals super cool! It all went down at the West Genesee High School Talent Show. Students displayed actual talent all night long and then during the judging, "we" showed up. We consisted of Mr. Kesel (vocals) and me (guitar/vocals) from the District Office, Mr. Stachnick (drums) and Mr. Mercer (bass) from Fine Arts, and Mr. Ficarra (guitar) from the high school. We selected a couple of songs that students and parents would know and sing along to, that we could actually play, and that we could turn up the volume on and really "rock" out. Too much fun! We did this four years ago also, and when you are semi-talented like us, the element of surprise is helpful. Probably the best part of the night was really getting the crowd into the songs, singing, and jumping around. This very short clip shows all of that happening on the sides of the stage while the same thing was happening out in the crowd. It took me until about 1:00 a.m. to settle down. Not to worry though, we aren't quitting our day jobs anytime soon. If you were there, thanks for putting up with us and who knows where and when we will strike again! Forum Last Week: We had a very well received West Side Support Network event last week regarding substance use disorder and mental wellness. The guest speakers (Dr. Ross Sullivan, Dr. Kristin Botwinik, Camillus Police, Gayle Mallore, and Jordan Eubanks) were just phenomenal. In addition, the Prevention Network held a session called "Hidden Mischief" for parents only, that was very well received. They set up a mock teenage bedroom and placed 71 clues to drug use and mental wellness in the room and groups of five had five minutes (the time you get to search your child's room most of the time) to find as many clues as possible. The maximum number located was 24 (I only came up with 21). At the end, the Prevention Network staff showed us what we had missed and why. Eye opening to say the least. Thanks to all for an informative and powerful evening. State Budget Update: Elected officials came to an agreement on the New York State budget on Saturday. The state budget did not hurt us in the sense that the budget plan we developed included what we thought they would add to the budget for education, but I was a little disappointed that there was no money earmarked for any type of security staff or equipment. This means that we will continue to lobby our legislators for seed money for resource officers while we shore up the plan for a "Proposition 4" on our District budget to take care of the building hardening measures that we have been talking about. I have four safety meetings this week, two local, and two countywide, so I hope to have made some headway in getting us some resources by the end of the week. Engaged Students: I had some really great classroom visits last week also. It was fun to watch Kindergarten students learn about water; upper elementary students learn about the circle of plant life; middle students learn to sew; and high school students dissect chicken wings. All three groups had their "a-ha" moments, and it is a great reminder that with the proper classroom management, instruction, and care, ALL students can be engaged in their learning! Showing Appreciation: West Genesee is a close-knit family. The staff would tell you that the students will tell you that. Everyone has a genuine care and appreciation for one another and that really showed last week at the high school pep rally. The students invited the bus drivers to the gym and then surprised them with a huge ovation and thank you. The drivers were overwhelmed to say the least. It was a good day! Safety Meetings: Quick meeting reminders for the week. The West Genesee School Safety Committee will be presenting to PTA/PTO/PTSA groups on Tuesday night at 7:00 p.m. in the West Genesee High School Large Group Instruction Room. All are welcome. I will be holding an Onondaga County Safety Task Force subcommittee meeting earlier that day for teachers/students and parents (similar to our own February 28 meeting) on Tuesday from 4:00-5:30 p.m. at the Syracuse City School District Professional Development Center on Fayette Street. All parents/students/teachers in Onondaga County are welcome to attend that meeting as well.